David Bakhtiari remains sidelined with hamstring injury. With Mike Daniels sidelined by a hip injury in Atlanta, the Green Bay Packers resigned veteran Ricky Jean Francois. The Packers had released Jean Francois when they needed depth on their offensive line a week earlier. Daniels hasn’t practiced all week and isn’t expected to play Sunday against the Cincinnati Bengals. Jean Francois was on a plane to Dallas when the Packers called him back. He returned to Lambeau Field and signed a contract on Thursday. To make room on the roster, the Packers placed tackle Jason Spriggs on injured reserve. Spriggs has been out since suffering a hamstring injury in week one against Seattle. Spriggs must sit a minimum of eight weeks but would be eligible to return of the Packers decide to make that move. Right tackle Bryan Bulaga, who has missed the first two games of the season, has practiced both days this week and would appear set to return to the lineup against the Bengals on Sunday. 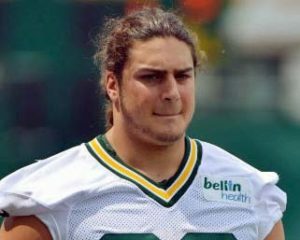 Left tackle David Bakhtiari missed both workouts on Wednesday and Thursday, making it less likely that he would return to the starting lineup on Sunday.